Proud Derbyshire Diamonds, who have won their first two games in the National Women's Basketball League. 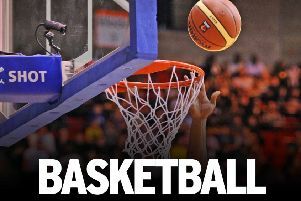 Newly-formed Derbyshire Diamonds have made an explosive start to their first season in the National Women’s Basketball League, winning both matches to soar to the top of the table. Contesting Division Two North, Diamonds opened up with a 67-37 success against Lancashire Spinners, and followed up by beating the same opposition in the reverse fixture 56-27 in their debut home match at Killamarsh Leisure Centre. With coaches Mike Talbot and Garnet Gayle providing support and guidance from the bench, Diamonds got off to a flying start and powered into a 15-0 lead in the first quarter. This was increased to 32-5 by half-time as all players contributed to the scoring and smart team defence restricted Spinners to very little in response. The second half was tougher as they rotated several players. But Charlotte Levitt, who sustained a calf strain in the warm-up, recovered in time to play a role in the victory. Campbell was the top points scorer with 13, ahead of Kelly Simcox and Kendal James, who each scored eight, Ellis Clayton and Mathilde Le Toquin, who added seven apiece, Kate Loftus with six, Levitt with four and Kirsty Russell with three. 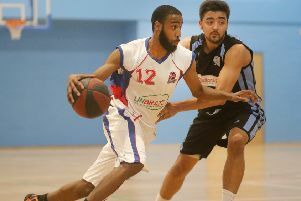 Diamonds’ next league match is away to Derby Trailblazers on Saturday, November 24.